The most common style of the burrito in the United States is not as common in Mexico. 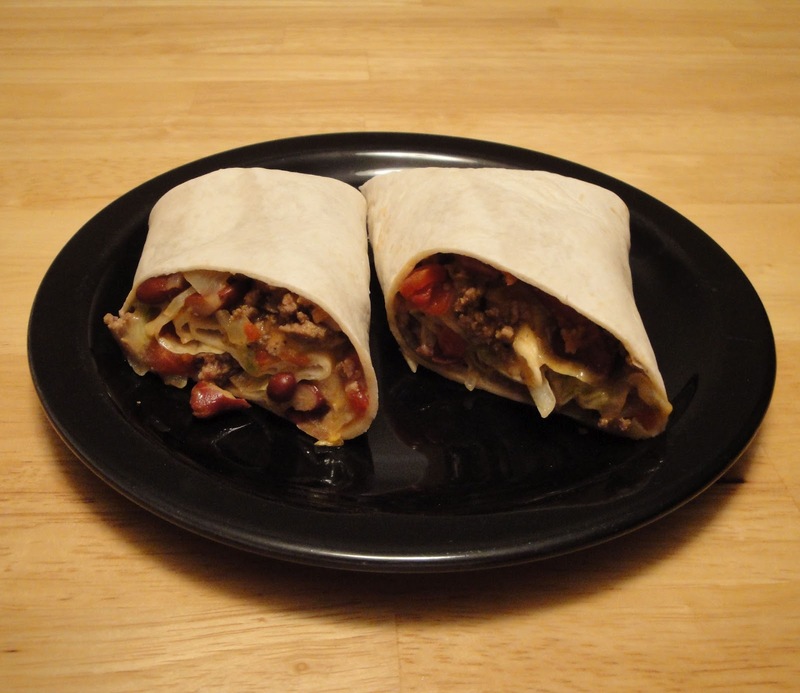 Typically, American style burritos are larger than Mexican ones, and stuffed with more ingredients than the primary meat and or vegetable filling. Pinto or black beans, white rice (with cilantro and lime or Mexican style), guacamole, salsas, cheese, and sour cream and onion are frequently added. The San Diego style of burrito has been described as "austere" and "simple". A carne asada burrito in San Diego, for example, can consist solely of chunks of carne asada and guacamole, or carne asada, guacamole, and pico de gallo salsa, without other ingredients such as rice and beans. One may also encounter non traditional, "healthy" burrito fillings such as eggplant. The California burrito, a San Diego area specialty, consists of chunks of carne asada meat, French fries, cheese, and either pico de gallo, sour cream, or guacamole (or some combination of these three). The ingredients are similar to those used in the carne asada fries dish, and it is considered a staple of the local cuisine of San Diego, California. With its merging of French fries with more traditional burrito fillings, the California burrito is an example of fusion border food. Although the California burrito originated in San Diego sometime in the 1980s, the earliest known published mention of one was in a 1995 article in the Albuquerque Tribune. In skillet, over medium heat. Add ground beef, salt and pepper, cook until no longer pink. Add onions, stirring, cook about 3 minutes. Add tomatoes with green chiles, chipotle enchilada sauce and red kidney beans, stir well. Cook until liquid has reduced. To build, place meat mixture in the center of flour tortilla, top with cheese and lettuce. Tuck sides in and roll them up. Enjoy! This looks delicious Christine! Thanks for sharing such a yummy burrito recipe. Bookmarked! Will try it this weekend! These look very delicious, great finger food to serve at parties! These look absolutely delicious--so savory! I love how easily you can put together a good burrito. These look so spicy good! Austere and simple, such paradox, I once ordered an American borito and I really loved it, you just can taste every detail from those grinded meat and veggies present, and I bet this recipe would be the same, can't wait to serve this with my guests later. I haven't seen french fries in the burrito before. This looks amazing. I love all Tex Mex. This looks delicious. Simple flavors that we like and an easy dinner. Thanks!